Citizens Insurance Company and in all likelihood other insurance carriers such as Universal P&C, ASI Lloyds, Bankers Insurance Co, Century Surety, Colony, Federated National, Florida Peninsula and Homeowners Choice may eventually follow by implementing the following changes to their own Underwriting guidelines concerning Four Point Insurance Inspections. Four Point Insurance Inspections will be required on homes more than 30 years old. Currently, Four Point Insurance Inspections are only required on homes more than 50 years old. “To ensure that the condition of the property is acceptable and all major systems (electrical, heating, plumbing and roofing) are in satisfactory condition, a Four Point Insurance Inspection must be submitted with all PR-M applications for homes more than 30 years old. We currently require these inspections on homes more than 50 years old. For new business with effective dates on or after September 1, 2012, this requirement has been expanded to all homes more than 30 years old. The inspection must have been completed within the last 12 months prior to the submission date by a verifiable, certified inspector (Florida -licensed). This rule does not apply to tenant named insured policies or condominium risks. The above are just some of the changes being implemented by Citizens and in all likelihood, other Florida Insurance Companies such as Universal P&C may be implementing similar underwriting guidelines. 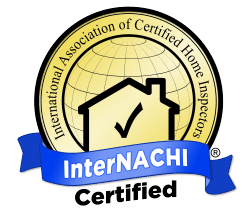 We at On The Gulf Home Inspection Services are Certified, Licensed and authorized by Citizens to perform these inspections on your behalf. We usually are able to perform the inspection and generate the Four (4) Point Insurance Inspection report the same day as we are contacted.